Firm Foundation Construction was created in early 2002 with the philosophy of doing everything as if we were working for the Lord. We pride ourselves on our craftsmanship, quality, and integrity as Firm Foundation walks clients through every step of the process including blueprints and cost estimates. We know that money is important which is why we provide an easy way for you to keep track of your budget and any changes that may take place. When it comes to living spaces Firm Foundation understands how important it is to find the right fit. This is why we work with you in every aspect from drawing up blueprints to choosing the perfect light fixture for that special room. We build custom homes, additions, or remodel your existing home to suit your individual taste. We primarily work in the Tri-City area and are licensed by the State of Tennessee; in addition, Firm Foundation carries Workman’s Compensation Insurance, General Liability Insurance, and is bonded. I build spec homes, custom homes and do remodel projects. I try to create homes that are functional for today's living. I always strive to create a quality product while keeping cost down. I also am concerned with building an energy efficient home to keep your month expenses down. 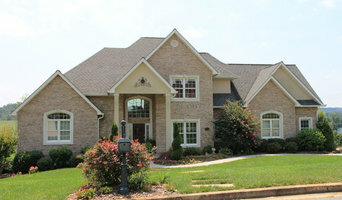 Jeff Spear Homes specializes in custom residential construction in East Tennessee. Jeff has overseen the construction of over one thousand homes in his eighteen years in the construction industry and would love to put that experience to work for you. We do things just a little differently than many of the builders in our area. We know that most people don’t want cookie-cutter houses, so we work with you to help you select a plan that works for you and your family, and then we’ll help you customize it so that fits you perfectly. We provide you with a price that is specific to your wants and needs, and we’ll make sure you know exactly what you’re getting. With Jeff Spear Homes, you’ll love your new home and enjoy the process! Contact us and let us help you build your dream home. Technically Aesthetic, LLC is a residential construction General Contractor located in Johnson City, TN serving all of the Tri-Cities that focuses on detail and perfection in all facets of design, new construction, remodeling, renovation, and home improvement. We strive to make sure that our clients get top notch quality as well as hands on mentality that allows them to feel as though they design their own construction project. Our goal is to make sure that our clients feel 100% satisfied with our work at the same time feeling as though they received an excellent bargain. At Technically Aesthetic we make sure that every project is "Technically Built. Aesthetically Pleasing." BDM Construction was founded back in 2013. TN State Licensed General Contracts. A locally owned and operated company, our goal is to help homeowners add value to their properties and boost their quality of living by making their homes more beautiful, comfortable, and energy-efficient. We offer some of the highest quality roofing, siding, windows, and remodels you can find at fair and reasonable prices. Since our founding, we’ve committed ourselves to offering unmatched customer service. We are confident that our services are among the best in the region—we are affiliated with some of the leading trade organizations, such as the BBB and the Vinyl Siding Institute, and are certified by top manufacturers, including GAF and James Hardie. With the help of new customers like you, we hope to continue to deliver topnotch services for many years to come. Jeff Howell is a custom home builder whose clients describe him as dependable, timely, a great communicator, innovative, and professional. Jeff spends a great deal of time getting to know his clients so that he can design the perfect custom home to fit their lifestyle, needs, and desired lot. If you are retired, married with children, in the early stages of building a family, or anywhere in between, Jeff will work to understand all facets of your wants and needs to build the home you’ve always dreamed of. 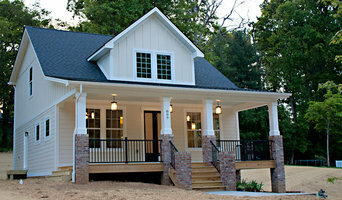 Asheville area custom home builder. Our goal is "Building on Reputation" from one customer to the next. Green, efficient, well designed homes. Hardin Creek Timber Frame & Millwork’s owner, Sid Greene, has designed and built custom timber frame residences and remodels/additions across the United States since 2003. Most often we use handcrafted traditional mortise and tenon joinery because of its inherent strength and natural beauty. We also have considerable experience using both machine round and natural round material in timber trusses as well as the use of exposed and concealed mechanical steel connections. 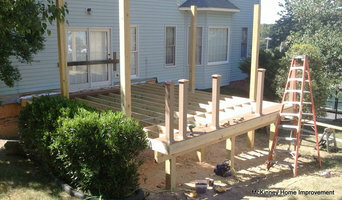 Our company, located in Boone, NC, offers the services of a designer, master craftsmen, and a licensed general contractor. If a client has already selected a home design and/ or build professionals, we gladly collaborate with them thru the initial design, fabrication and installation of the timber framing. For off-site owners, we have a program that enables them to monitor the progress of their project. We have an extensive selection of natural and rustic woods: antique beams (great for fireplace mantels), timbers, reclaimed wood, live edge slabs, burls and handcrafted mountain laurel and rhododendron handrails. In addition, we craft custom/standard architectural millwork as well as our increasingly in-demand natural poplar bark shingles for exterior use or for interior use as a decorative accent for walls, cabinets and furniture. All of our products are expertly fabricated. Once complete, many of them can ship assembled to your job site where you may choose either our skilled team of craftsmen to install them or use a local installer to do so. We offer competitive pricing, innovative design and a commitment to doing what we promise and are known for exceeding our clients’ expectations. Working in partnership with homeowners, we create dwellings that resonate with elegance, craftsmanship and sustainability. Our dedication to client service and design has been recognized with our Best of Houzz Award received in 2016, 2017, 2018 and 2019! Have a question or need a quote? Call today (828) 475-8905 and speak directly to the owner, Sid. Custom Home Builders, New Home Construction, New Home Design/Build, In-Law Suite Additions. Complete Design and Building Services from concept to move-in! 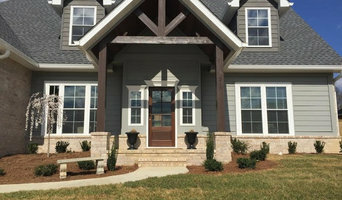 As an award winning general contractor, building new construction and remodels in WNC for over eleven years, Duinkerken Homes prides itself on building an efficient, cost effective, and aesthetically pleasing homes. With over 20 years of hands-on building and remodeling experience, Duinkerken Homes’ primary focus is bringing families together through superior craftsmanship that will last for generations to come. Regardless of where you are coming from, Asheville and WNC is a beautiful place to call home. If you are interested in new construction or needing help rediscovering the beauty in an already-existing home, please call Duinkerken Homes to go over the aspects of your project. We are not salesmen. We are honest, hardworking, hands-on custom home builders who focus on family. We take our time in giving hard number quotes so there are no surprises to the budget. We help redesign or modify plans to fit budgets. At the end of the day, we want our children to grow up and know their parents did everything with integrity and pride ourselves on be an honest, reputable company that produces a house that is of quality construction that will last for many generations. We look forward to hearing from you! Abby Design and Construction specializes in new residential construction; design/build additions and remodels. As a full service general contractor and design/build firm, Dan Hemp, owner of Abby Design and Construction will guide you from start to finish on your journey to build or design your dream home Unlike many general contractors, Abby Design and Construction is committed to employing the very best carpenters and painters, rather than depending primarily or exclusively on subcontractors. Using our in-house highly skilled tradesmen not only gives us more control over project schedules for quicker job completion at lower costs, it also helps us consistently deliver the high-quality workmanship,and client service you expect and deserve. Additionally, we design and build a majority of our cabinetry in-house using our sister company Elle Design. When the need arises we have the capability to design and build personalized furniture pieces for your project. Terranera Family Builders LLC are general contractors that provide services such as Custom Homes that have ranged in sizes from 900 sq. ft. in upwards to 10,000 sq. ft. Home additions, remodeling, restoration & outdoor living spaces. Specializing in Kitchen & Bathroom remodeling, Retirement homes & Energy Efficient homes. Sunny Day Homes is a family owned residential builder and full service general contractor, specializing in energy efficient, non-toxic residential construction and design, including custom homes, additions, remodeling, and energy retrofits, emphasizing quality, affordability and sustainability. We came to Boone NC in 1998 and quickly made it our home. Over the last ten years, our company has grown steadily from a one-man repair and remodeling service to a crew of five full-time carpenters and helpers. 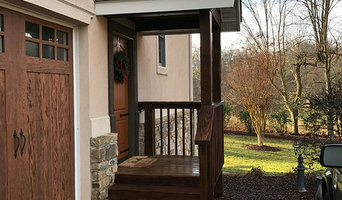 Our years of experience in the high country NC make it possible for us to bring together the carpenters, subcontractors and suppliers necessary to make your project a success. Our place in the market is in the middle price range while providing high levels of service, quality and integrity. We intend to remain small enough to give each person and project the personal attention they deserve, yet large enough to handle substantial projects in a timely and efficient fashion. Our passion is in building (and rebuilding) homes that are good for the people who live in them as well as this little green and blue planet we live on. We are committed both personally and professionally to working toward greater sustainability . We believe that by approaching each project with care, integrity and an awareness of our participation in the local community, as well as the global ecology, we can support the work of those leading the way towards prosperity and sustainability in every aspect of society.